HOW ORANGE COAST FIAT BECAME THE #1 FIAT DEALER IN THE U.S.
Orange Coast Alfa Romeo and Fiat sold 170 units in August 2016 (most ever by a single dealership in the US). In September 2016, they surpassed 200 units per month. They have maintained their status as the largest volume US Fiat dealership and the 2nd largest FIAT dealer in the world. In March 2017, they hit an astounding lead form conversion rate of 4.57%, more than 2x the national average. Nearly 100% of their marketing budget is digital. 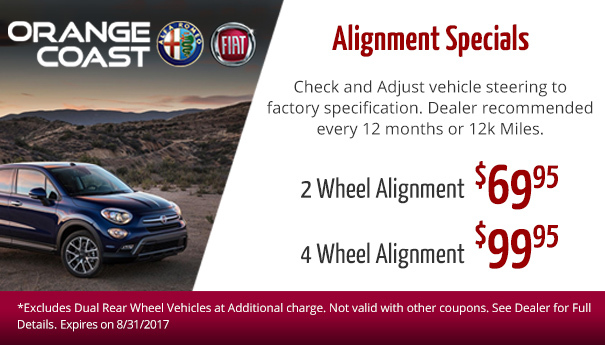 In an environment where many where unable to successfully operate their Fiat dealership, Orange Coast Fiat was looking to be the elite. They believed they could be one of the largest dealerships in the America. Ultimately, Fox Dealer helped them achieve that on both a national and international scale. Want Results like this? Request a free marketing review.